How many “night shows” do you attend during Jazz Fest?…Take the OffBeat Poll! 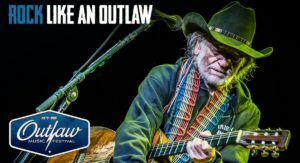 If you take this week’s OffBeat Poll, you’ll get a chance to win a pair of tickets tosee Willie Nelson perform at the Fillmore New Orleans on Tuesday, April 9. 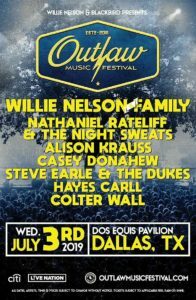 Win tickets to see Willie Nelson from 101.5 KNUE.Willie Nelson headlines this summer’s ‘Outlaw Music Festival’ at Dos Equis Pavilion in Dallas on July 3rd. 101.5 KNUE has you free tickets to the show. Listen to KNUE while you’re workin’ this week for your cue to call 903-581-1015 to win a pair of comped admission passes from Mandee Montana and Buddy Logan! 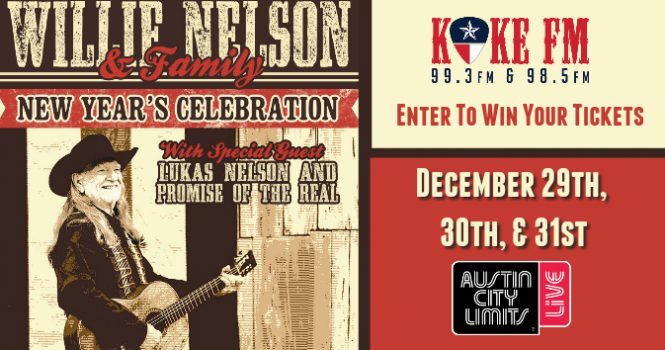 We’ll give the tickets away today through Friday (March 22nd) between 9 a.m. and 5 p.m.
Austin’s hometown musician, WILLIE NELSON, continues the tradition of ringing in the new year at Austin City Limits Live at The Moody Theater with three unforgettable nights of music, family, and friends on Saturday, December 29th, Sunday, December 30th, and Monday, December 31st. Joining him for all three performances is very special guest LUKAS NELSON & PROMISE OF THE REAL. New Year’s Eve also features extra festive elements as we count down to 2019, including appearances by Father Time Texas and Baby New Year! AUSTIN — The “Red Headed Stranger” will be taping an “Austin City Limits” performance at the Moody Theater on Monday, Nov. 19 — and you could win tickets. 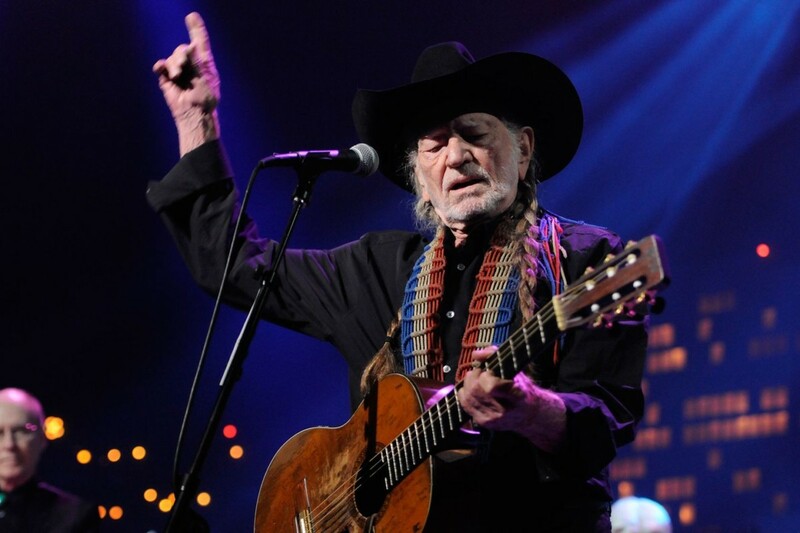 Austin City Limits is giving away a limited number of passes to Willie Nelson’s taping. You can enter by clicking here by noon on Thursday. Winners will be randomly chosen and notified by email. A photo ID will be required to pick up your passes, which are non-transferable and can’t be sold. Some reminders: standing may be required at this show. No photography, recording or cellphone use is allowed in the studio. And no cameras, computers or recording devices are allowed inside either. DOPE Magazine’s illustrious DOPE Industry Awards (DIA’s) return to Washington for it’s fifth year. The finalists have been chosen and now is your turn to vote for who you think are some of the best people and companies in Washington’s Cannabis Industry. Cast your vote below. You can vote once per day, per nominee. All votes will be email verified. Winners will be announced on stage at the DIA’s on Sunday night, December 17 at the Seattle Design Center. WIN a trip for two to final date of the Outlaw Music Festival, presented by SiriusXM on Sunday, 9/17 in Camden, NJ. 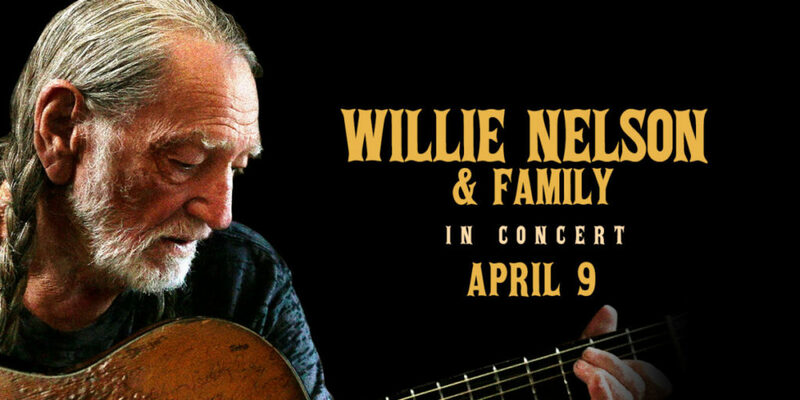 See Willie Nelson & Family! Eric Church! Sheryl Crow! The Avett Brothers! Nathaniel Rateliff & The Night Sweats! Lukas Nelson + Promise of the Real! Particle Kid! Go to www.siriusxm.com/OutlawFestival before 8/25 to enter to win airfare to Philadelphia, hotel, ground transportation, prime tickets, photo pit pass, drink & meal tickets, merch package, and autographed event poster! 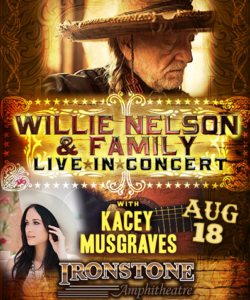 Enter to win two (2) tickets to see Willie Nelson live at Ironstone Amphitheater in Murphys, CA on Friday, August 18th courtesy of ABC10! 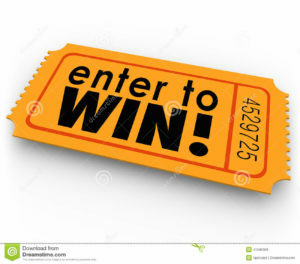 One lucky winner will get to enjoy the show in lower level seats! Good luck!!! Country music legend Willie Nelson is coming to PNC Pavilion in Cincinnati on Wednesday, July 12! Willie will be performing with special guest Dawes. Eagle Country 99.3 wants to send you to the show! We are giving three listeners the chance to win a pair of free tickets July 3rd-7th by listing to Eagle Country for the cue to call 812-537-9724. Be the ninth caller at the cue and you’ll win! We also have a pair of free tickets to give away online. Sign up using the registration form below up to once per day. Register prior to the random selection of our online winner on Friday, July 7. Must be 21 or older to be eligible to win. Click here for contest rules. 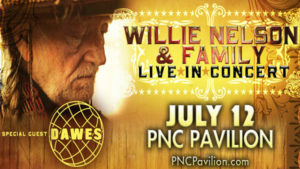 You can purchase tickets to see Willie Nelson and special guest Dawes at PNC Pavilion on July 12 at Ticketmaster.com or by calling 800-745-3000. Here’s your chance to #RockLikeAnOutlaw at the last stop of this summer’s Outlaw Music Festival, presented by SiriusXM. Win a trip for two to Philadelphia (including airfare & hotel), a premium ticket package and more for the show on September 17 at BB&T Pavilion in Camden, NJ, featuring Willie Nelson & Family, Eric Church, Sheryl Crow, The Avett Brothers, Nathaniel Rateliff, Lukas Nelson & Promise of The Real and Particle Kid. For official rules and to enter go siriusxm.com/outlawfestival before August 25. (No additional purchase necessary). 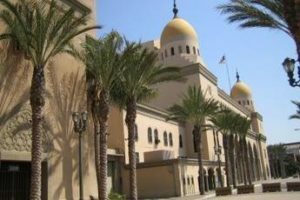 Country legend Willie Nelson is coming to the Shrine Auditorium., in Los Angeles, on August 17th. Tickets go on sale Friday April 7th at goldenvoice.com, and we have a chance for you to win a pair right now. Text WILLIE to 515151. 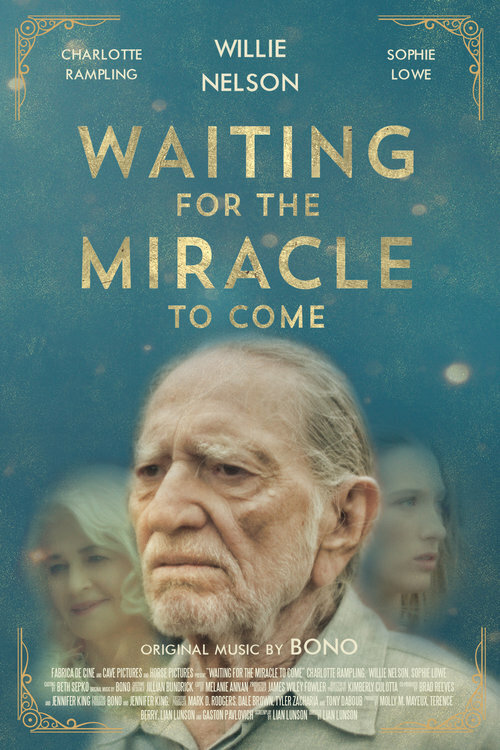 The winner will receive two tickets to see Willie Nelson with Kacey Musgraves August 17th, as well as two posters of the red headed stranger. Message and data rates apply. Good luck! Visit their page to enter contest here. 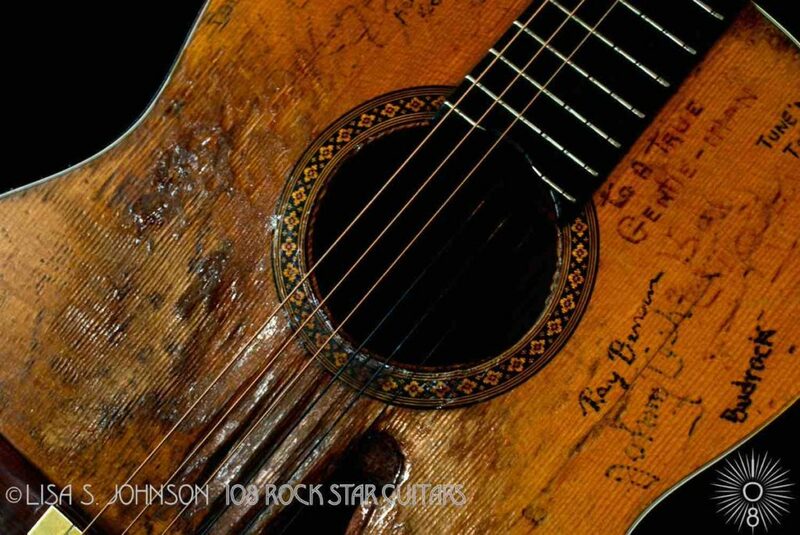 Willie Nelson was one of the main figures of the outlaw country movement. Though his career started in the 50s, he’s still rockin’ it! Do y’all think you know Willie? Test your knowledge here!